Fearpassage have been around for nearly ten years now and in that time have developed into rather an interesting act. They have the slow and sinister pace of a dark electro band mixed with the demonic harsh ebm purveyed by the likes of Suicide Commando. It isn't perhaps the kind of music that you'd immediately jump on the dance floor for. But it's introspective and thoughtful style is nonetheless engrossing. The band's first outing, 'Device Switch' does indeed have that old school Suicide Commando vibe to it. But unlike Johan, Michael Fear does tend to pull his punches somewhat here and as such the album feels a little half-realised. Songs like 'Blood Thirsty Babe', 'So Unfortunate', 'It's True' and 'Sensory Overload' provide the album with it's most promising cuts. But the whole thing feels a little too simple and the heavy use of distortion over the rough production style does seem like the audio equivalent of painting over a flaking wall. The band's second full-length album however, 'Our Children' picks up nicely from the first and develops the sonic formula in more progressive directions by incorporating acoustic guitars and ambient sci-fi atmospherics into the songs. Even the production is a lot better this time and really compliments the progressive elements. The band still find room though to add some more club friendly tracks such as 'Falling for You', 'Little Ladies' and the rhythmically stimulating title track. And this time around they definitely come across as more self-assured and complete sounding. But it is the more ambient tracks such as 'Civil Servants', 'Fade Away' and 'Ode To Your Memory' that really pique the interest. It may have been a slow start with an album that could have been whittled down to a very strong EP. 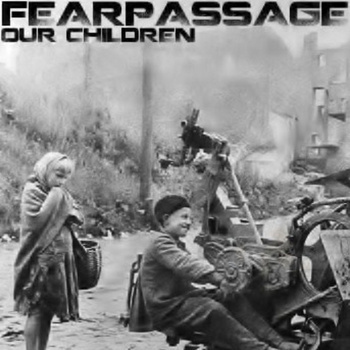 But with 'Our Children' Michael Fear has unquestionably found his feet. 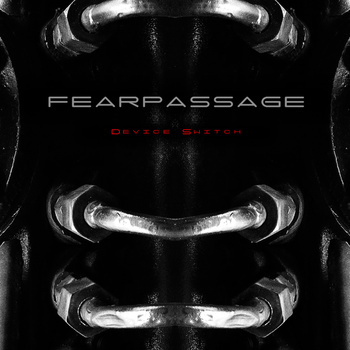 And if he continues to progress in this way, adding more experimental and progressive elements to his palette, then there is no reason why Fearpassage shouldn't evolve into something very special.